James Gordon Bennet (1841-19180 was born in 1842 to an Irish mother and Scottish father, who owned the New York Tribune. To promote the launch of the New York Tribune in Paris he embarked on a promotional campaign which included sporting and expedition events, such as balloon and airplane racing, yacht racing which eventually became the America Cup Race. In 1900, he sponsored the first of six international motoring competition race, the Gordon Bennet Cup Race, the fourth of which was held in Ireland. 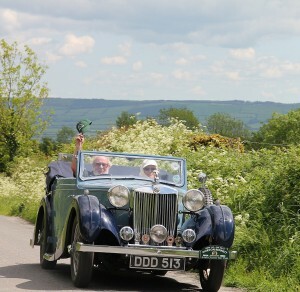 This event now takes place every year and prides itself on being the oldest motor sporting event of the year. It welcomes classis car drivers from around the globe to journey back in time.